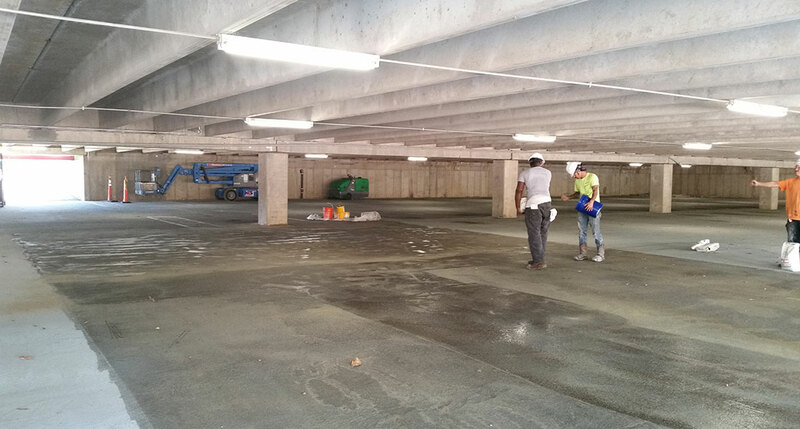 Parking garages are important structures that require extensive maintenance to minimize damage from environmental stressors and daily wear-and-tear. 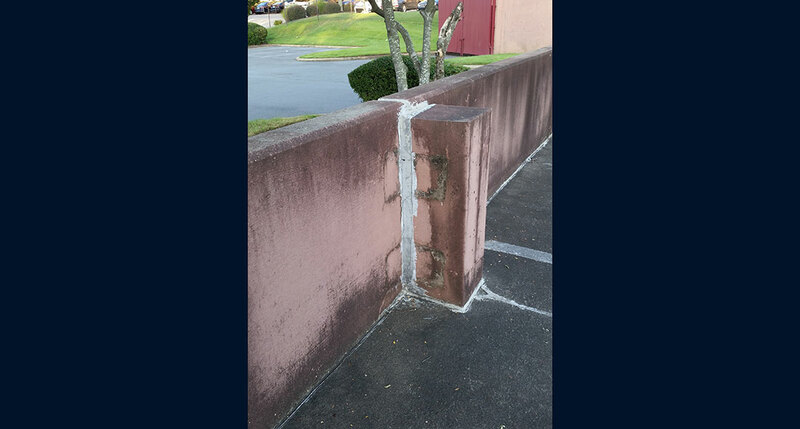 And when parking is at a premium, contractors must make sure repairs are performed in a timely manner and with as little disruption as possible to drivers. 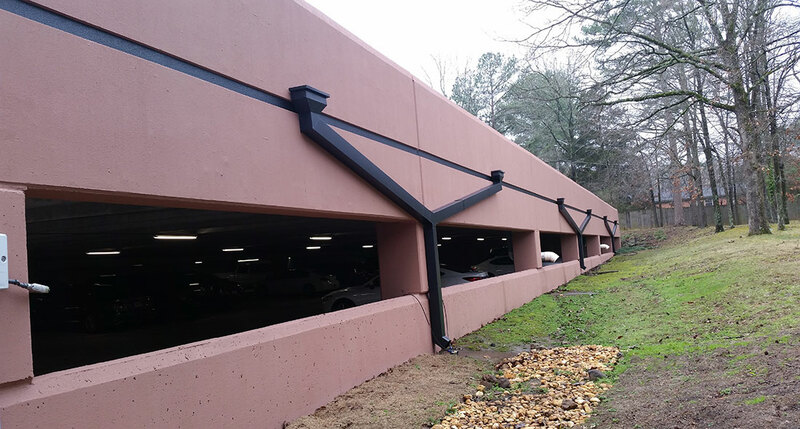 Such was the case when Western Specialty Contractors – Little Rock, AR Branch restored a three-level parking structure for the Kirkpatrick Plaza office building at 10800 Financial Centre Pkwy. Western was contracted by the property manager, Colliers International, which leases office space ranging in size from 577 to 18,317 square feet at the five-story Kirkpatrick Plaza office building. 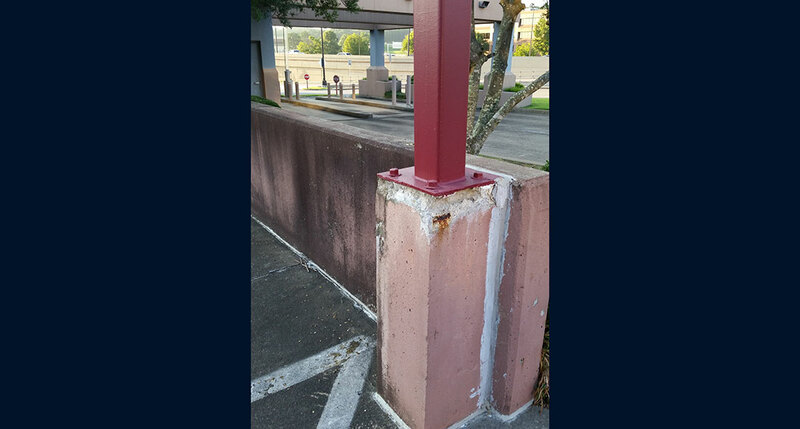 Western’s scope of work on the parking garage included replacing caulking in the garage’s exterior precast to precast joints, replacing the caulking at the interior concrete columns to the precast panels, patching concrete, replacing the caulking in the slab control joints, installing deck coating on the top level of the deck and two-thirds of the second level, coating the exterior of the parking deck and installing structural steel brackets. 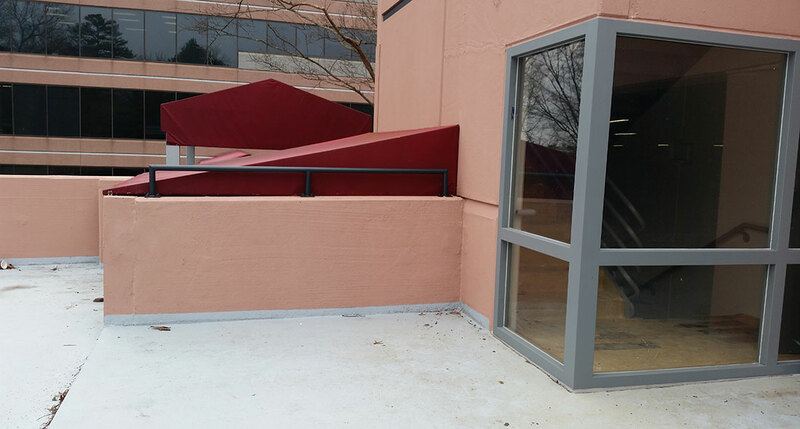 The scope of work also included applying an epoxy coating to heavily pitted concrete to level the roughness and create a smoother finish for the deck coating application. Since parking is at a premium in the area, Western’s crews could not have access to the entire parking garage at one time. 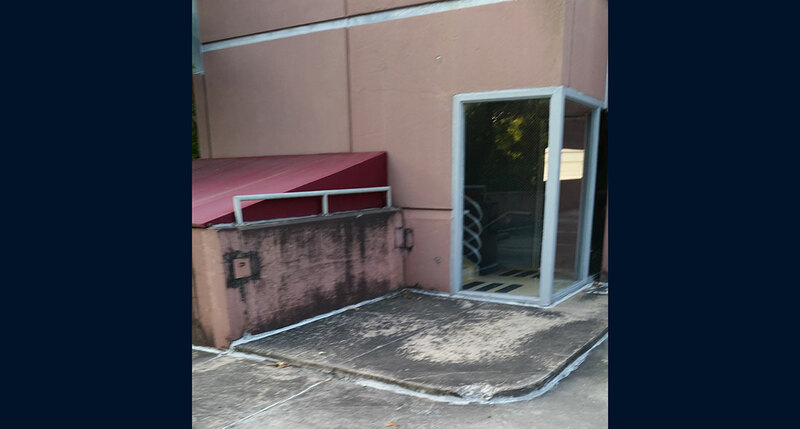 Western met with the property manager and an owner representative to establish a phasing plan which allowed Western’s crews to have access to one level of the deck at a time. 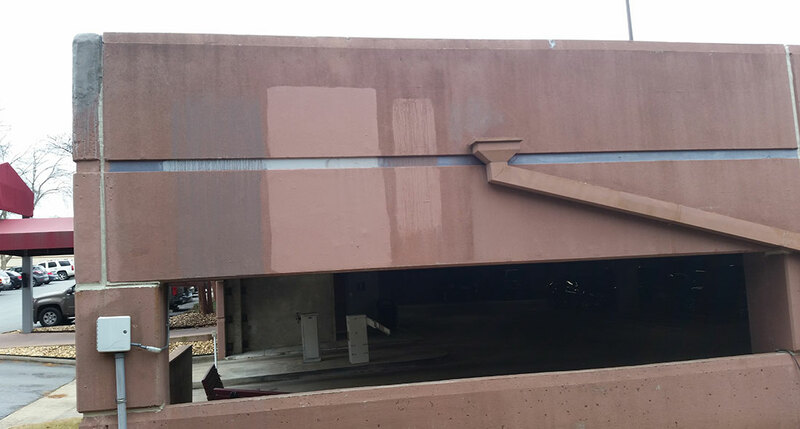 Another challenge that Western’s crews faced on the project occurred during the deck coating application process. The material used had a minimum and a maximum temperature range for application. 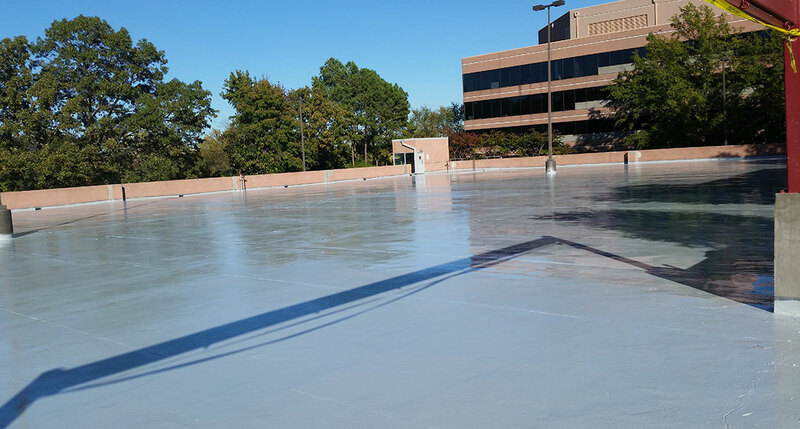 At the scheduled time for the coating application, the temperature exceeded the maximum temperature for application, therefore the deck coating was applied at night when the temperatures were cooler. Despite the challenges, Western completed the project on time and within budget. Western crews worked over 3,000 hours and applied approx. 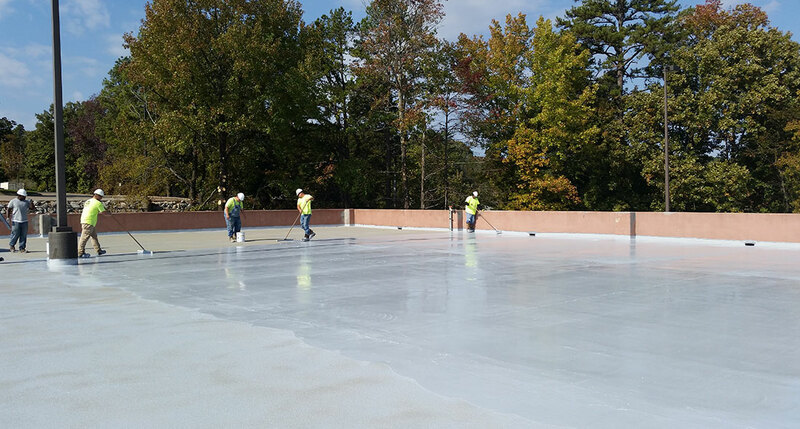 44,000 square feet of deck coating and 12,000 lineal feet of caulking to get the job done.